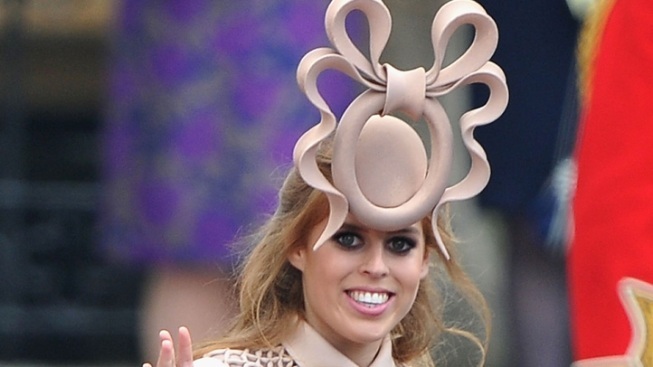 From the royal wedding to thousands of Internet memes, Princes Beatrice's cartoon-ish Philip Treacy fascinator was quick to capture the world's attention. Now, it has fetched roughly $130,000 (81,100 GBP) for UNICEF. The enterprising, philanthropic princess chuckled her way across the worst-dressed lists and leveraged the attention for an Ebay auction to raise money for children's charities. One anonymous bidder snagged the hat from a group of 40 bidders that, appropriately included, at one point, the mega-popular children's group, the Wiggles. "I've been amazed by the amount of attention the hat has attracted It's a wonderful opportunity to raise as much money as possible for two fantastic charities. I hope the winner of the auction has as much fun with the hat as I have." Treacy's toppers retail in the range of $1,000-$2,000 and up, but the six-figure sum presumably sets a new record.